Awesome! I will build one of these for sure! Amazing, just built one just need to hook it up to the computer now, tomorrows job. C64 and PET here. Cheers & Beers!!!!! 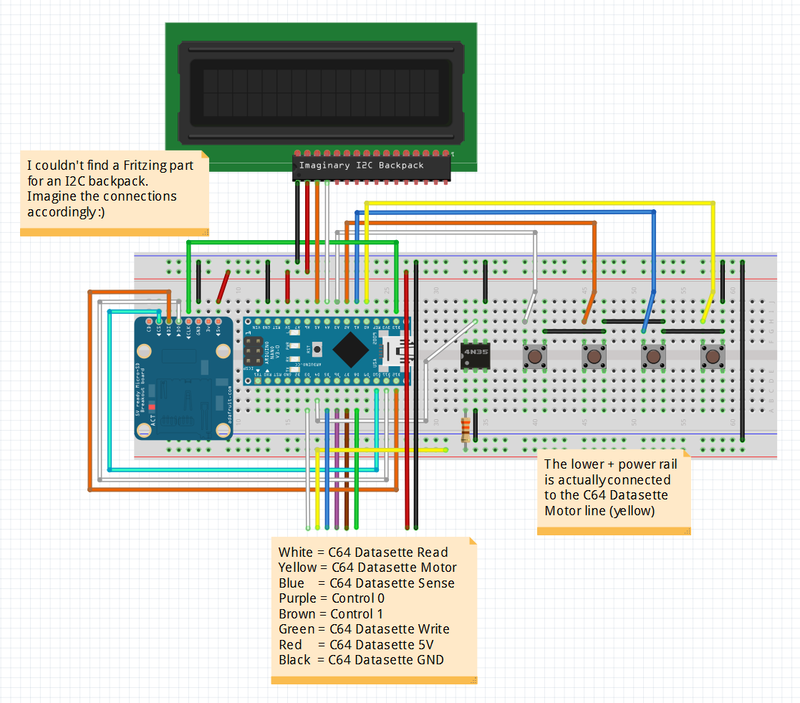 One question were do i find the sketch for flashing to the Arduino? Looked at the link to the code but there was alot of files, wich one to use? Just grab a zip of the source from GitHub, extract it to your hdd and inside will be the tapuino.ino file. Make sure the directory you extracted to is called "tapuino" (GitHub calls it "tapuino_release" or something so rename it), load the .ino into the IDE and flash as normal. Dear Peter Edwards, what's the usb nano correct? I have built the tapuino but i have problems with the recordings. This is strange for me, because I have recorded (always with tapuino) games without errors of the same cassette in which there are games that I don’t record with success (after many attempts) : cassette with same loader! However ALL games load without errors when the tape record is connected directly to commodore 64 (then i don't have problem of azimuth, cleaning, etc.). Could you add support for ZX Spectrum and TI99/4a? They have Ear and Mic plug and TI have remote plug for pausing tape recorder. I have build tapuni by your instructions and it work GREAT! The TZXDuino can do this. 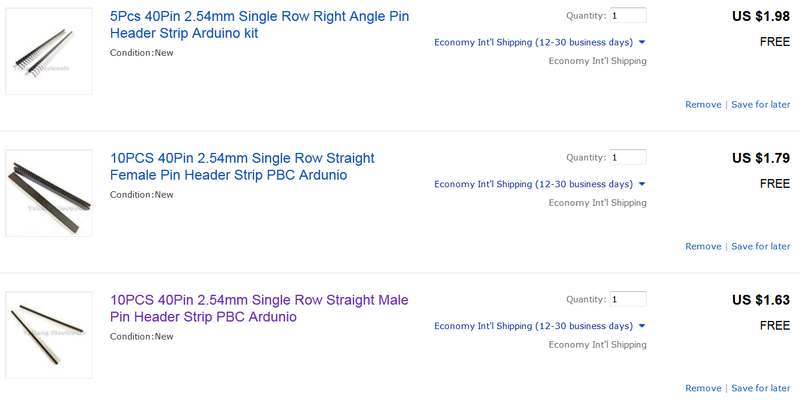 Hi Peter, waiting for the parts to arrive so I can make my own Tapuino - really looking forward to making it. 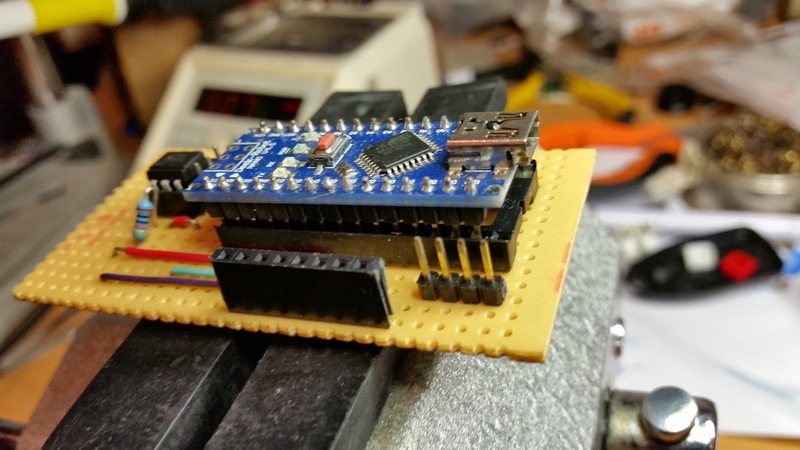 Would love to see you make something better than the UNO2IEC as well (ie not require a pc). Thanks for makin this guide! Hi, you've probably moved on by now (damn commenting notification was off for my blog). If not, I read the buttons directly by reading the RAW register state in the input_callback() function. One question: would it be possible to use an Arduino Due instead of a Nano? Wow, you did a fantastic job here! 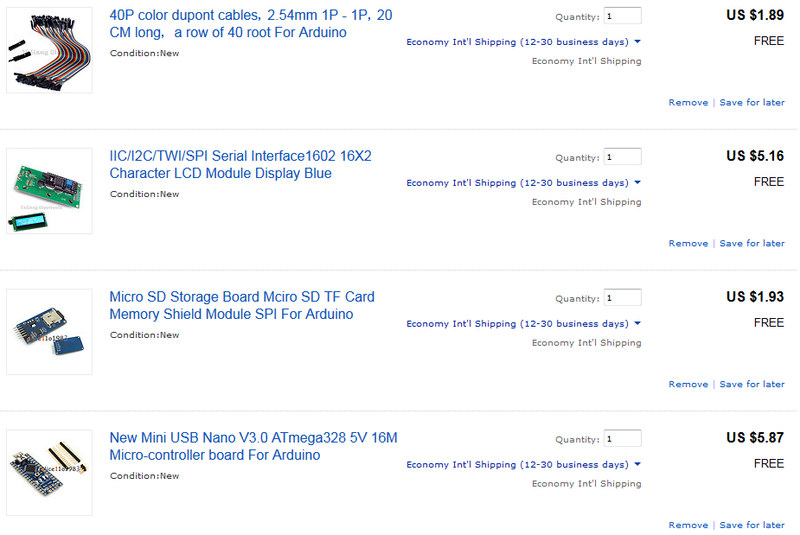 I am currently surfing around and looking for the parts I am going to need in order to make my own Tapuino. Since you put so much effort into creating this, I think it is only fair that you should be earning some commissions from selling the parts via an affiliate link! can you send hex file to me ? how enable the C16 support on 2.5.0-beta? I am trying to compile tapuino but seems there is a file missing dsip_lcd.h can you please guide me where to find the the current file? Sorry for the late reply, notifications for posts were disabled somehow. Did you manage to get this working? 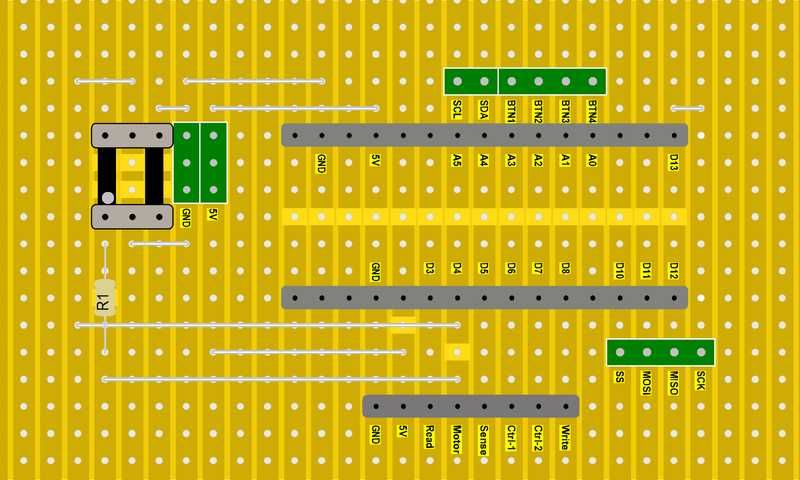 Can you post a schematic of the connection to the c64? In the explanation I didn't understand at all. I tested NPN mod with PSU and m changes to M on LCD when I supply 9V to motor pin. I'll test tapuino with C128D in two days, i'll post results. Hi, I initially used a transistor but had issues with it for some reason (probably because I didn't know what I was doing). I cant quite recall what the problem was, but I think I had some leakage across the transistor that was unreliably powering the Nano or something. I chose the opto after that to ensure isolation, but if the transistor works for you then that is great. Looking forward to hearing about your results. I've built the circuit as per your instructions but no matter what I do it always comes up with Init Failed. I've used both an Arduino Nano (cheap Chinese clone) and a barebones ATMega328PU circuit and I get the same result. Do you have any suggestions to make this work? So this is almost certainly an SD init failure. 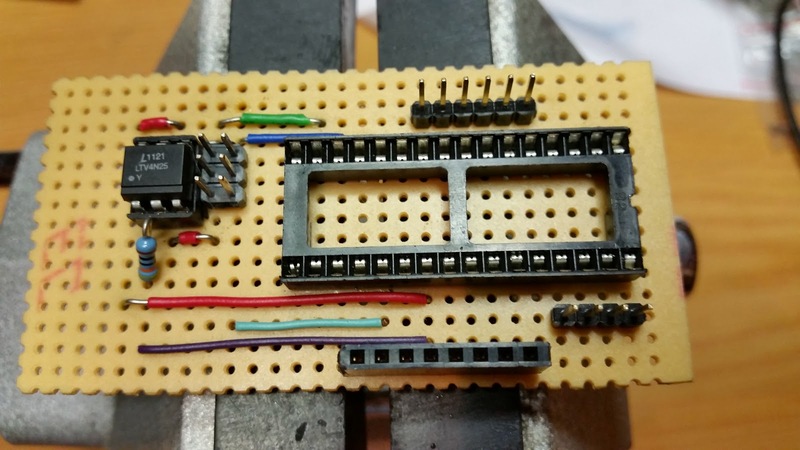 If I2C init fails the board hangs. 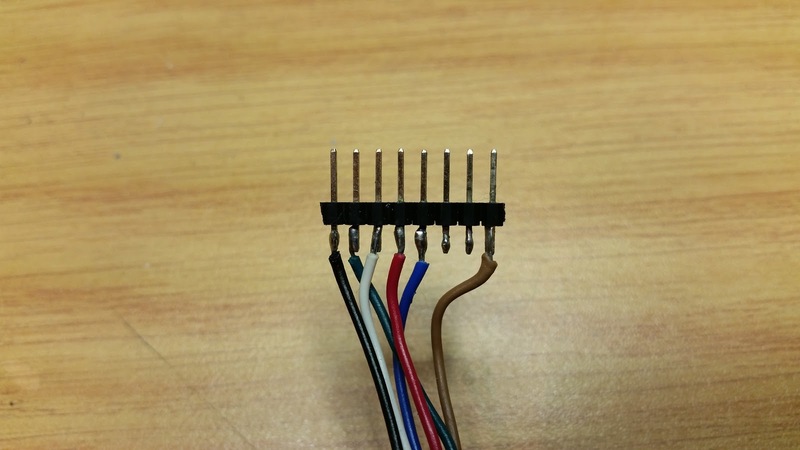 Check your SPI connections carefully and ensure that you have an SD card inserted. Also what SD module are you using? It might be easier to continue this discussion over mail. My address is sweetlilmre at gmail dot com. In your inbox! Cheers for taking the time to discuss this. I have built one, and it works great. Thanks for the plans. I was able to use a Carvey CNC machine at my local maker-space to CNC the lid of the project box. It was my first time using a CNC machine; the cutout for the LCD is a smidge too small, so I had to enlarge it by hand. If I were doing it again, I would also cut the letters shallower. Since taking the photos, I've also placed a piece of opaque tape over the bright red LED on the Arduino preventing the light from shining through. I was also able to locate the proper connector to interface with a Commodore tape port. This is the most ingenious device I have seen, and per your instructions I have gotten most of the components together, just the 5 volt line for the four buttons is missing still. However, when uploading the code and making the config-user.h file, indicating 1602 and the I2C address of 0x27, which according to the manufacture specs, I still get nothing. I thought it may have been an under-powering but no matter how much current, just "blocks" across the screen. As simple of device as this is, I am starting suspect the Nano is no good or the at I get a warning in the IDE about low memory and that it may cause stability problems. Other than that, I think everything else should be fine--any thoughts? Glad to hear you got it working and thanks for sharing your solution. I built another Tapuino the Tapuino mini 1.03 and added the 0.96 inch 128X64 OLED Display, which works fine, I've uncommented the big fonts line to try and get big fonts but it does not seem to work on my oled, i was wondering if there is anything else i need to add to it to get big fonts working. The big fonts code uses a trick of the display setup mechanism so may not be compatible. it works ok but i can't do the big fonts trick, or have you got a link for a cheap oled that is compatible. 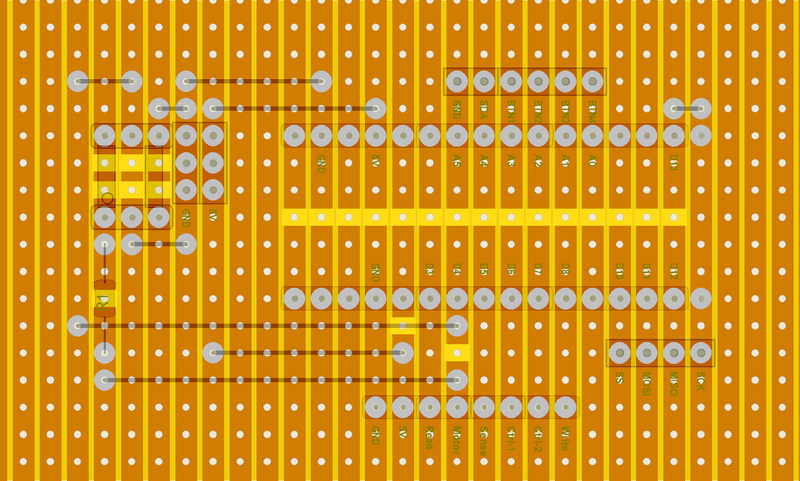 Quick question: do you have pictures of the underside for soldering the 2x3 4N25 opto-coupler and for a future reference? I'm planning on making my own and I don't want to mess it up big time. Thank you and great project as well. Hi! Will it work with zx specy? No this is only for the C64. 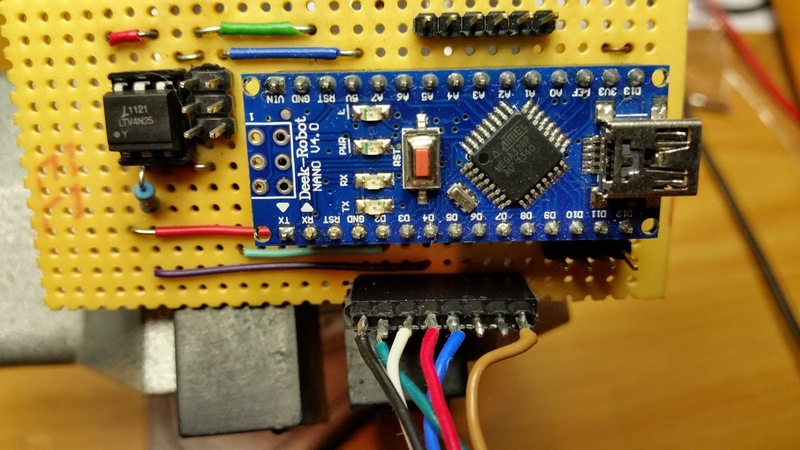 However there is another piece of hardware called the TZXDuino that does the same thing but for the speccy. Hello, I am very beginner for electronic montages. I would like to build your Tapuino installation, I have ordered the pieces and I am waiting to receive them. is it possible to use the Tapuino to record a program from the Commodore 64 to the SD card, by recording on the SD a EMPTY CASSETTE by examble (I would like to program on C64 and save it on SD). As I told you I'm a beginner, I do not understand all the editing, moreover I'm French and the language barrier limits my understanding. The C64 cable at Tapuino is that of an original Datasette? I planned to use a "Jamma 3.96mm connector", I cross my fingers to make it work. Additional photos of the montage would be welcome in both sides in the details. I thank you in advance for your answer, especially your Tuto. Yes, you can record. The JAMMA connector should be fine, just watch polarity. I've built the above strip board version and it works great. I noticed in the wiki it mentioned recording from a real datassette to the tapuio - is there a design for the extra needed to add to the stripboard version so I can archive some old tapes?